Sorry, there is no discount or coupon allowed for this item. 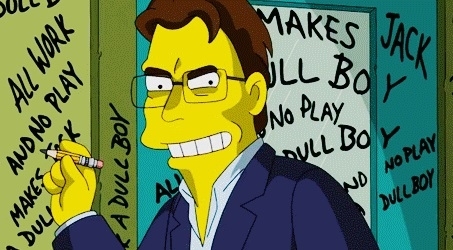 Celebrating the Simpsons 25th Anniversary, featuring STEPHEN KING! 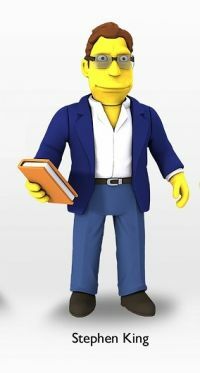 With his own vinyl figure!!! THIS IS A FIRST! And now you can have your very own Stephen King in your personal library!! OVERVIEW: YO!! It's The Simpsons' 25th anniversary, and the celebration continues with NECA's exclusive 25 Greatest Celebrity Guest Stars program! This series 3 of 5-inch action figures debuts several well-known celebrities and they've included Stephen King in this one! All feature incredibly detailed sculpts with celebrity likenesses and are hand-painted. Each figure is poseable at the arms, waist and head, and comes with character-specific accessories. Stephen King has, of course, a book in hand! 2014 Neca and comes sealed and is brand new. We pack well in a box for safe delivery.